Reiki (pronounced “ray-key”) Healing is an ancient Japanese hands-on healing art. It is a method of natural healing that is a form of bodywork and energy medicine. 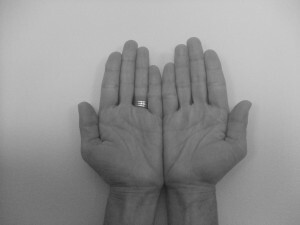 The Reiki practitioner channels universal (rei) life force energy (ki) through the palms of their hands. The hands are placed on or slightly above the fully clothed body of the client. The hands are held in a specific position for about two minutes and then moved. In Reiki Healing the practitioner is intuitively guided to what each area of the body needs and the length of time needed. Usually the client feels a warm sensation or waves of energy. Where there is inflammation, that part of the body may feel coolness and the body will draw what it needs for balance. The client is encouraged to let go and to be in the process of receiving Reiki Healing energy. Reiki is gentle, loving, and peaceful, yet very powerful. Receiving Reiki Healing Energy allows healing to happen on all levels-body, mind, emotions and spirit. Reiki improves the immune system, relieves pain including backaches, releases energy blocks, lifts depression, and supports deeper relaxation and sleep. Reiki Healing for fibromyalgia and chronic fatigue syndrome has been researched and found to be very beneficial in relieving pain. Reiki Healers are humble, open hearted, open minded and in the moment. The ego has no place here. The Reiki practitioner’s only intention is to be a pure vehicle of healing. At the beginning of a Reiki Healing session touch is applied to the front of the client’s body. The second half of the session continues with warm touch to the back of the head, shoulders, upper and lower back, the backs of the knees, the backs of the ankles, and the bottoms of the feet. By the end of the session the client is in a place of deep relaxation. 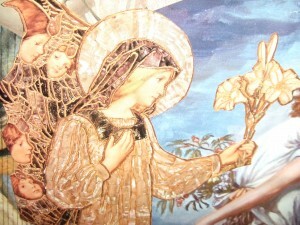 Then I thank the client and the spiritual guides. After a Reiki Healing session the body is in rest and repair mode and requires plenty of water to release toxins. It is best to stay relaxed for the rest of the day avoiding strenuous activity. The healing will continue for several days. Being aware of changes that occur physically, mentally, emotionally and spiritually is important. Honor the healing process by being gentle with yourself. The Reiki Healer cradles another human being in loving spiritual energy. For 17 years now I have been teaching Reiki Healing in 3 classes. Reiki I is focused on learning self healing and healing others. The student receives an attunement which activates the Reiki Healing energy so that it is channeled through the hands. You receive a Reiki I certificate at the end of the class. Reiki II is focused on distance healing. You learn 3 symbols to use in Reiki Healing. You receive an attunement. At the end of your Reiki II class you will receive a Reiki II certificate. Reiki III is focused on teaching Reiki Healing. The student learns 2 more symbols to use for passing attunements on future students of Reiki Healing. You receive another attunement and a Reiki III certificate at the end of the class and you are now a Reiki Master. The Reiki Healer receives training and attunements from a Reiki Master so that the healing energy is activated and channeled through the palms of the healer’s hands. 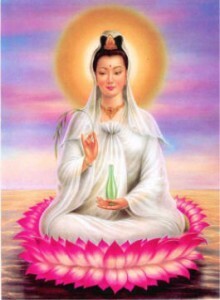 Reiki is passed down through lineage from Reiki Master to healer for generations. This is called Reiki lineage. After completing Reiki Healing classes with me I give my students the list of our Reiki Lineage which comes directly from Dr. Usui. I am 7th generation. The new Reiki Healer becomes 8th generation in Reiki Lineage. The healer sees clients for a one hour Reiki Healing session. Lying face up on a massage table fully clothed the patient is healed starting with the head and ending with the feet. Turning over the healing continues head to toe. Touch itself is healing. Adding powerful yet gentle waves of energy channeled through the palms to the client’s body allows for relaxation, balance, removal of energy blocks, relief from pain and depression and improvement of the immune system. The body draws to itself that which it needs for balance. Some experience the Reiki energy as warm waves of vibration others feel coolness in inflamed areas of their body. The Reiki Healer stays open in heart and mind. Focused on the intention to heal is the key. Knowing that we are whole is important. Our being is ever seeking to remain in balance in our body, mind, emotions and spirit. Keeping this balance and intention is the pathway to enlightenment which is God consciousness. Seeing and loving the Divine in ourselves and others we become free to be who we truly are – SPIRIT. The book Alternative Treatments for Fibromyalgia and Chronic Fatigue Syndrome by Mari Skelly and Helen Walker is a wonderful resource book about complimentary healing modalities. In chapter 11, Energetic Healing, I wrote about Reiki Healing. Reiki healing for fibromyalgia and chronic fatigue syndrome is so effective in relieving the pain of these two maladies. Many clients report feeling reduced inflammation in their joints, a rise in energy level, an improvement in their immune system and feel deeply rested after receiving a Reiki Healing for fibromyalgia and chronic fatigue syndrome. These positive results demonstrate once again how gentle yet powerful Reiki Healing for fibromyalgia and chronic fatigue syndrome is for people who live with these diseases. 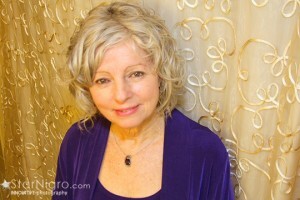 or to schedule a session with Maureen by phone or in person give her a call at (845) 706-HEAL (4325).